Every law firm can run into incidents of employee misconduct, data breaches, and intellectual property theft. In the age of modern technology, data breaches, insider trading, and other security problems require extensive technological forensics. Partners and firm owners, as well as lawyers working within the firm, need to understand why a digital investigation is needed, what steps should be taken within an investigation, and who should be involved. Having this knowledge can save the firm thousands of dollars while uncovering the truth. 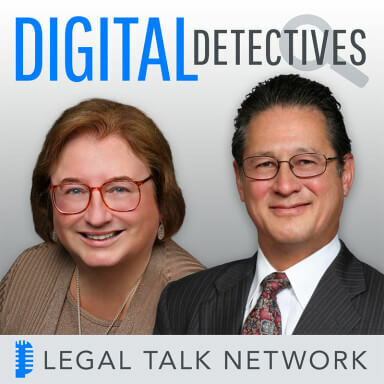 In this episode of Digital Detectives, Sharon Nelson and John Simek interview ediscovery and compliance attorney Patrick Oot about how attorneys should be prepared on technology issues when they start to investigate criminal and civil matters. Everyone leaves technology footprints, Oot explains. Whether dealing with an internal investigation or with client data, the most important asset is unbiased, comprehensive, and well documented research. When hiring a digital investigator, the firm should always find an outside expert who is experienced with data breaches, understands how data moves through the system, and can manage proper narrative to the regulators. Properly conducting a digital investigation can make the difference in the credibility and success of a law firm. Patrick Oot is a partner in the DC office of Shook Hardy and Bacon LLC where he leads the practice on e compliance and digital investigations. He is one of the few ediscovery and compliance attorneys in the nation that possesses the tripartite experience of an in-house corporate counsel from a fortune 16 organization, a senior attorney at a federal regulatory agency, and a partner in a large law firm. Patrick has extensive experience advising on discovery and investigative matters involving commercial litigation, compliance, regulatory requests, antitrust matters, and personnel issues.